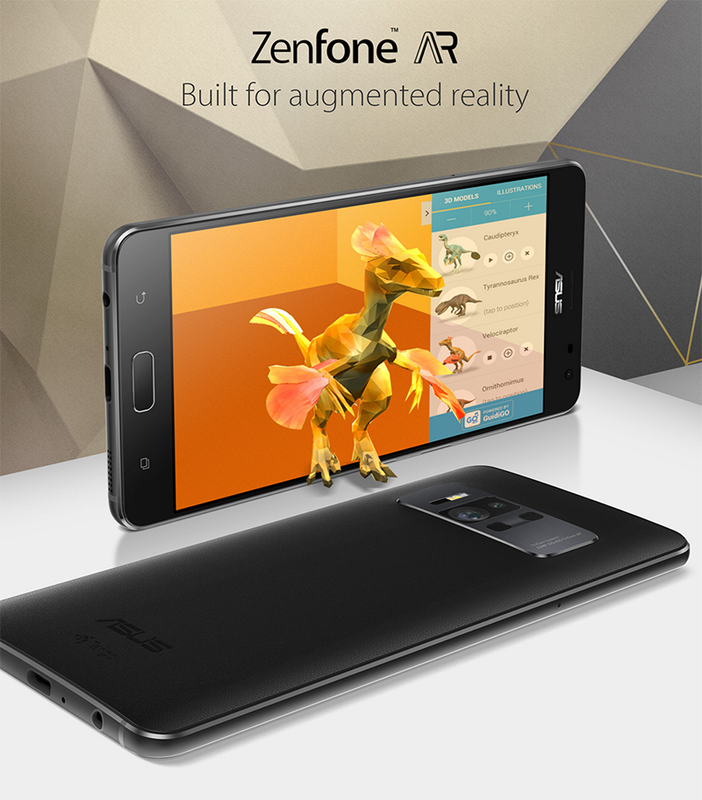 Asus ZenFone AR Is The First Smartphone With 8 GB Of RAM In The World! Home / asus / mobile / news / Asus ZenFone AR Is The First Smartphone With 8 GB Of RAM In The World! Another first from Asus! The Taiwanese electronics giant has officially unveiled the ZenFone AR, the first handset in the world with whopping 8 GB of RAM! It is also a Project Tango ready device w/ Google Daydream to deliver augmented reality features and content. Related: Asus ZenFone AR With 8 GB RAM To Arrive In PH This June! Going to the spec-sheet, the Asus ZenFone AR is equipped with a 5.7 inch QHD Super AMOLED screen w/ Gorilla Glass 4 protection on top. Under the hood, its powered by the Project Tango optimized 2.35 GHz Snapdragon 821 quad core processor paired with Adreno 530 graphics unit. Related: Asus ZenFone 3 Zoom With Dual Cameras And HUGE Battery Goes Official! Then it has an up to 8 GB of RAM (first in the world), up to 256 GB of USF 2.0 internal storage, and 3,300 mAh of battery capacity w/ Quick Charge 3.0 fast charging technology. It also has a 23 MP Sony IMX318 f/2.0 main camera w/ Laser AF, OIS, and dual tone LED flash. 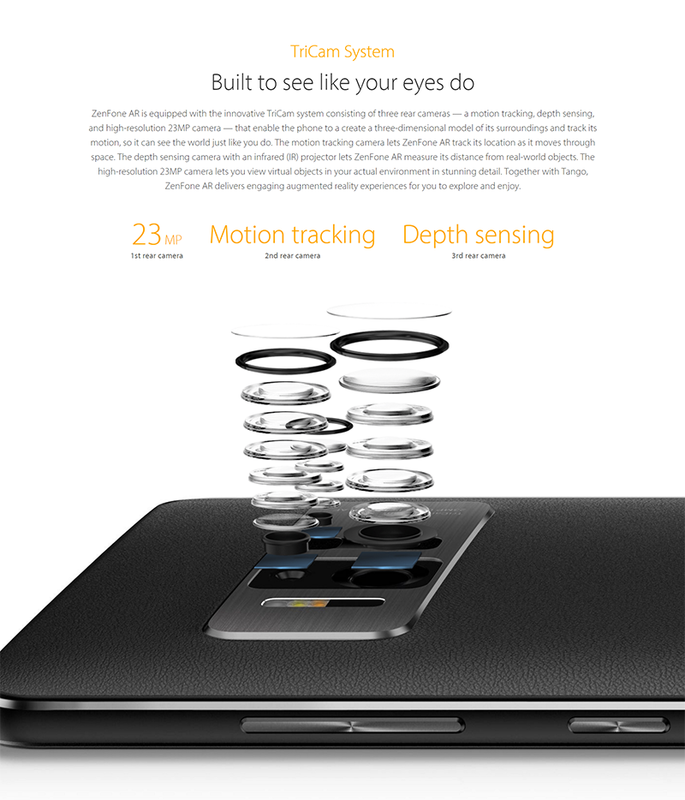 Like the PHAB2 Pro by Lenovo, it has a motion tracking camera and a fisheye depth-sensing camera. The Asus Zenfone AR will be released this coming 2nd quarter of 2017. Stay tuned for more details on pricing and exact date of availability.